Designed primarily for librarians with little to no real practical experience in interlibrary loan, this book will educate readers about ILL and to provide a basic framework for evaluating an existing ILL operation or establishing a new one. It will also be a valuable reference for supervisors with responsibility for the ILL department, reference librarians, and experienced interlibrary loan librarians looking for expert, up-to-date information. Chapter 1. 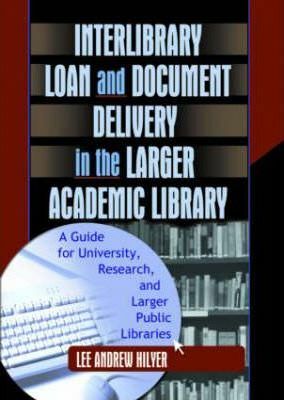 What Is Interlibrary Loan? Appendix B. Basic "Tools of the Trade"